The goal of the U.S. Department of the Interior's "50 Cities Initiative" is to create the next generation of leaders and stewards of the nation's natural areas. It is one step toward achieving the Department's goal of having one million volunteers annually. A new initiative aims to increase St. Louis youth's exposure and service at public outdoor spaces, like the Ulysses S. Grant National Historic Site (pictured), through programs, job opportunities and summer camps. In St. Louis, new and existing programs will be bolstered through federal support to encourage more young people to play, learn, serve and work outdoors. The city of St. Louis will dedicate 120 jobs from its summer youth employment program toward working at local National Parks. Mayor Francis Slay's deputy chief of staff Robbyn Wahby said these kinds of opportunities will help foster youth's passion for nature and introduce them to a possible career path. "You've been in the swimming pools, you've been on the swing sets, you've run on the trails, you've biked through these parks - it's going to require you too to be a steward," Wahby said. "So as you grow up, it's time for you to learn how to be a steward of this public land." Wahby also said being named one of the first prioritized cities in the federal initiative is a recognition of the city's commitment to sustainability, preservation and conservation of public space. To continue that tradition, Wahby said it's important for young people to "see parks as another way to contribute" and "to gain knowledge and exposure to careers." Additionally, the YMCA of Greater St. Louis is partnering in the effort to give young people a "sense of belonging" in St. Louis' public lands. It will host four summer camps for kids with the National Parks Service, including: Gateway to the West, 1863 and Me: The Civil War Experience, Beyond the Concrete, and Rolling on the River. Laurie McTearnen, the YMCA's vice president of childcare services, said there will also be opportunities for older youth to serve as counselors-in-training. "Our goal will be then to see them roll over and then volunteer at the National Park Service as a volunteer ranger during the school year," she said. The camps also will include educational experiences with partners like the U.S. Army Corps of Engineers and the Missouri Department of Conservation; health and wellness activities like hiking; and service activities like laying flags at soldiers' graves at a local cemetery or building butterfly gardens. All these experiences, McTearnen said, are aimed at reconnecting young people with nature and hopefully instilling a commitment to service - and conservation. "Technology has kind of taken over being outside and playing outdoors and getting a love and an appreciation for nature, or they just may not have an ability to go and experience the great outdoors," McTearnen said. "So by fostering that love of the outdoors in our children, then we are going to get our kids excited about sustaining that, so when we get older and are not here anymore that they can carry on making sure all of those areas are preserved and well-maintained and are here for generations to come." Using private-public funding through the initiative, the city and the YMCA are also partnering to hire a community coordinator who will help identify opportunities for people to participate in recreational programs and serve at outdoor public spaces. McTearnen said a community summit will be held this spring, bringing together public, private and nonprofit partners to "generate passion" for involvement. McTearnen said public lands can't survive without that engagement. "Our wildlife and parks system are so important to who we are as a community and as a nation, if they aren't here, that would be a huge loss," she said. 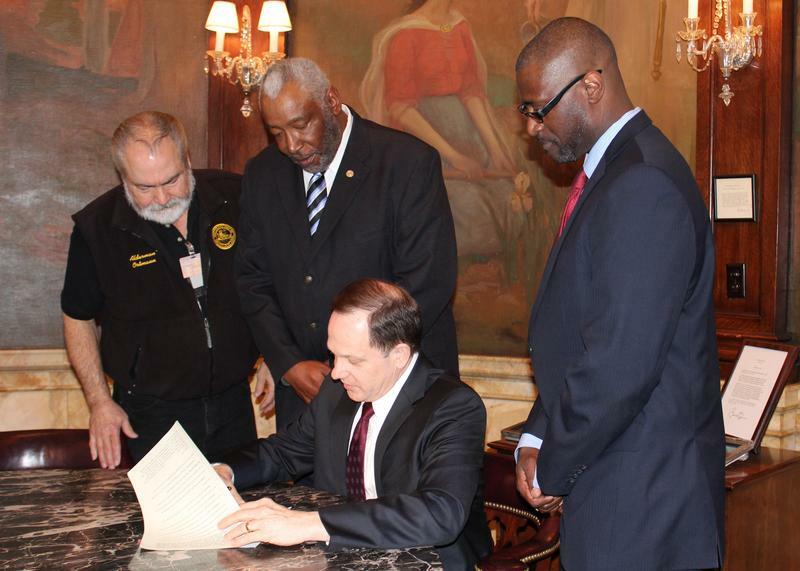 Veterans now will get preference when they apply to work for the City of St. Louis, after Mayor Francis Slay signed the measure into law Monday. 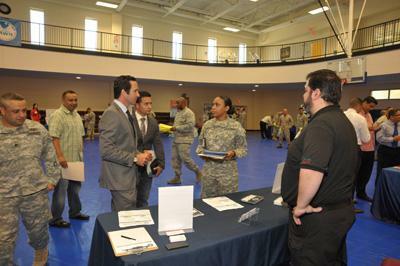 After passing a civil service exam, veterans will be given an additional five points on their applications. Disabled veterans will get another five points on top of that, for a total of 10 points.